In central Barrow, half of all children are growing up in poverty, and a quarter across the rest of Furness. Many families have an income of less than £10,000 and struggle to manage the financial cost of day to day life. The Ormsgill Youth Club gives youngsters the chance to escape the grim reality of their daily life and experience new things. The club received £5,000 from the Cumbria Young People’s Fund to continue to employ a youth worker to run two weekly sessions offering young people the chance to take part in a range of fun and positive activities including cooking, crafts, art, and educational sessions such as personal health, drugs and alcohol awareness. Many of the young people have also been given the opportunity to go on outings they wouldn’t have been able to do before. 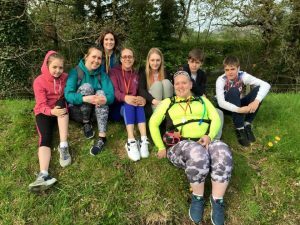 One young carer is among the group of young people to benefit. The youngster, whose caring duties contributed to them struggling at school, had never been on holiday before. Since attending the club, they’ve been learning how to socialise better with new found confidence and go on trips they’d never have been able to afford themselves. The club has also developed a great relationship with the local Police to address and reduce antisocial behaviour in the area, as well as build bridges between the younger and the older generations of the community. Pamela Silcocks, Treasurer and volunteer Youth Worker, said: “Many of our young people are from deprived backgrounds and don’t have a willing adult to spend time with them.